This year’s fifth annual Crunchies Awards has just finished up at the classy Davies Symphony Hall in San Francisco, and it was a smashing success. We poked fun #humblebraggers, got cussed at by Siri, honored former TechCrunch CEO Heather Harde, and gave wild monkey trophies to tech’s greatest innovators. If you missed the event or our livestream, check out the full list of nominees and winners below. The world owes a thank you to Jack Dorsey, the “Founder Of The Year” and leader of Twitter, winner of “Biggest Social Impact”. His poise and dedication helped keep the microblogging service online so it could aid revolutions. 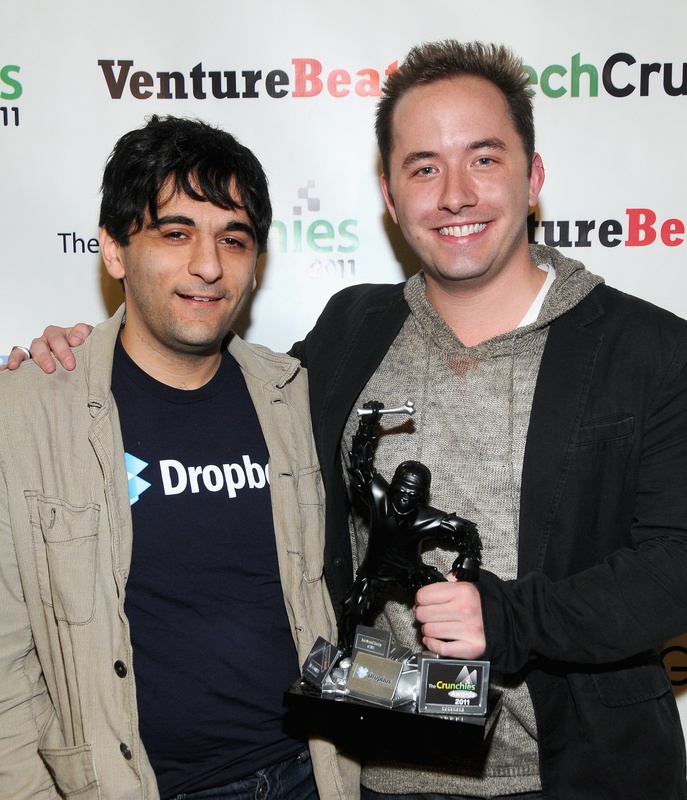 And a big congrats to Dropbox on its win for “Best Overall Startup”. The company’s young founders Drew Houston and Arash Ferdowsi (from right to left below) demonstrated the power of the freemium model, and had the guts to turn down a 9 figure acquisition bid. Thanks to everyone who watched, voted, or attended the Crunchies. This award show is about the tech community, and we’re honored to have you as our readers.